Washington state recently lost its No Child Left Behind waiver because it doesn’t require state test scores to be integrated into teacher evaluations. 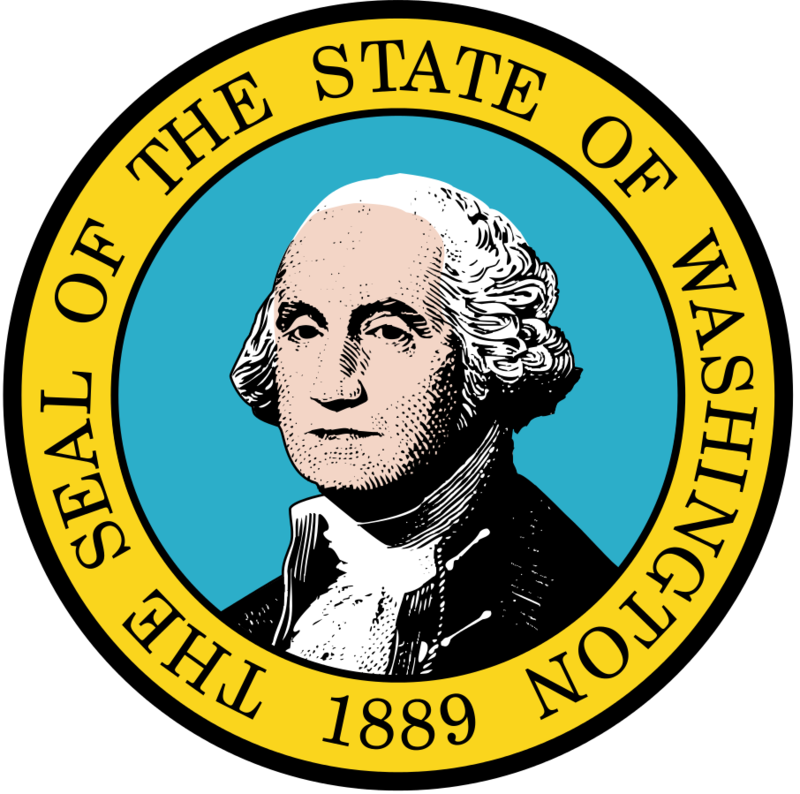 Evidently, Governor Inslee and our Superintendent of Public Instruction, Randy Dorn, both urged lawmakers to pass a law to bring Washington into compliance with this rule, but they refused. I cannot understand why the Washington State Legislature couldn't do this one thing in order to keep flexibility in how our NCLB federal money is spent. Money that our school districts sorely need. Money that we, at the local level, know best how to spend. Seems to me that is why NCLB waivers are possible at all: because after 12 years with No Child Left Behind in place, DC has come to the same conclusion. Let me be clear. I believe the NCLB Act specifically, although intended to level the playing field for disadvantaged students, is flawed. Everyone can probably agree on that. When I first heard of our state receiving a waiver, I was happy about it because I am against standardized testing as a means of gauging student progress because they expect every kid to fit into a box. I didn't know, though, that our legislature would turn around and dig its heels in on not answering for teacher accountability. Now that I know the whole story, I feel differently. If there is going to be standardized testing, the results should factor into teacher evaluations and accountability. The test scores reflect on the child and on their school as a whole, so why not also the teachers? It has been my experience as a parent of children in Washington state public schools that teacher effectiveness should absolutely be factored in to how well students learn. Our observation is that they pass the buck too easily away from themselves as trusted educators. We have been told flat out that if your child is failing it's because of your child or YOU, not the teachers. That's just not fair. Actually, it is yet another instance in which the entire picture of a student's learning is not being seen. Similar to measuring student progress based solely on standardized tests. How can we have a real understanding of our kids' education if all factors aren't being considered, including how good of a job their teachers are doing at teaching? Look, I'm not out to persecute teachers. I completely respect the training they've gotten to be in the positions they're in, and I admire their tenacity to show up day in and day out. 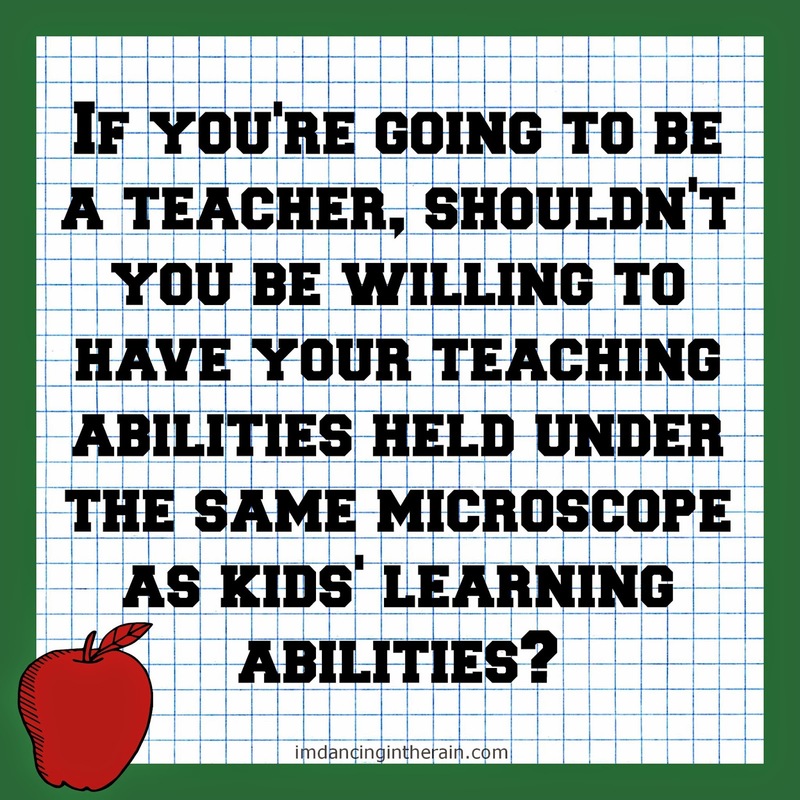 But if you're going to be a teacher, shouldn't you be willing to have your teaching abilities held under the same microscope as kids' learning abilities? Again, as I stated above, I am not a fan of standardized testing. It's not as if I want state tests just so we can pick on teachers by including the results in their evaluations. No. I would prefer these tests didn't exist. I'd rather see Formative Assessments be the norm because they accurately measure student progress and teacher effectiveness. My daughter can attest to the "downward spiral of demoralization and disengagement" because she feels exactly that due to struggling in school because of her ADHD. She is expected to learn the same as every other "normal" kid, but she can't. Since Formative Assessments seem to be merely a pipe dream at this point, it does make sense to me that the federal government expects state test scores to be included in teacher evaluations. While I am normally proud of the politics of the state I live in, when it comes to this particular issue, our locally elected officials -- on both sides of the aisle -- dropped the ball.